Scientists are studying a signalling pathway that links hematopoietic stem cells and the Wnt5A protein that can slow or even reverse aging. They noted that the WNT pathway that signals the production of Wnt5a leads to the activation of another protein called Cdc42 which results in stem cell aging. By suppressing the pathway, stem cells are rejuvenated and functionally acts younger. Stem cells are cells in the body that can transform into other higher types of cells, tissue, or even organs. The stem cell observed in this study are hematopoietic stem cells (HSC). HSCs can be found in the bone marrow and also in the umbilical cord blood, embryo or peripheral blood in the human body. They can transform into many different types of blood cells such as erythrocytes, basophils, neutrophils and B-lymphocytes. By suppressing the Cdc42 protein through the molecular signalling pathway, HSC starts to function younger which can lead to therapies that will boost their immune systems, fight illnesses and enhance overall vitality especially for the elderly. The study is expected to help in the search for therapeutic strategies to slow or reverse the aging process, and possibly rejuvenate these critically important stem cells (called hematopoietic stem cells, or HSCs), said scientists from Cincinnati Children's Hospital Medical Center and the University of Ulm in Germany who conducted study. Published online Oct. 20, the study builds on earlier research from the same scientific team, who in 2012 reported they could make aging HSCs from laboratory mice functionally younger. Properly functioning HSCs – which form in the bone marrow – are vital to the ongoing production of different types of blood cells that allow the immune system to fight infections. 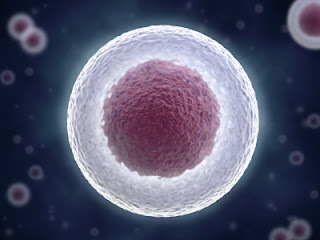 The cells are also important for the regeneration of other important cells in the body. "Although there is a large amount of data showing that blood stem cell function declines during aging, the molecular processes that cause this remain largely unknown. This prevents rational approaches to attenuate stem cell aging," said Hartmut Geiger, PhD, senior investigator and a scientist at Cincinnati Children's and the University of Ulm. "This study puts us significantly closer to that goal through novel findings that show a distinct switch in a molecular pathway is very critical to the aging process." The pathway is called the Wnt signaling pathway, a very important part of basic cell biology that regulates communications and interactions between cells in animals and people. Disruptions in the pathway have been linked to problems in tissue generation, development and a variety of diseases. Analyzing mouse models and HSCs in laboratory cultures, the scientists observed in aging cells that a normal pattern of Wnt signaling (referred to in science as canonical) switched over to an atypical mode of activity (called non-canonical). They also noticed that the shift from canonical to non-canonical signaling was triggered by a dramatic increase in the expression of a protein in aged HSCs called Wnt5a. When the researchers decided to test this observation by intentionally increasing the expression of Wnt5 in young HSCs, the cells began to exhibit aging characteristics. Although the study significantly expands what is known about the molecular causes of HSC aging, the authors emphasized more research is needed before knowing how the findings might become therapeutically relevant to people. For one, researchers need to determine if increased Wnt5a expression is triggered from inside or outside of blood stem cells. Additionally, finding or developing a pharmacologic agent capable of blocking Wnt5a may be difficult because of how the protein functions. Still, by tracking the causes of HSC aging back to an unexpected molecular switch in a fundamentally important pathway such as Wnt pathway, Geiger said researchers have pushed science much closer to understanding a critical part of getting older. Eventually, the scientists hope their work will lead to strategies for helping the elderly boost their immune systems, fight illnesses and enhance overall vitality.